Jay Gunkelman, QEEG Diplomate, is recognized as one of the world’s top leaders in the field of EEG and QEEG, and has processed over half a million EEGs since 1972. 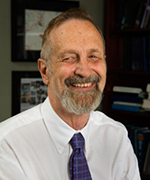 He has served as president of The International Society for Neurofeedback and Research (ISNR), as well as a board member and treasurer of the Association for Applied Psychophysiology and Biofeedback (AAPB) and is a past-president of the Biofeedback Society of California. Jay was the first EEG technologist to be certified in QEEG (1996) and was granted Diplomate status in 2002. 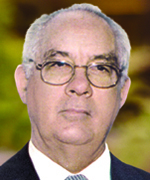 He has conducted, published & participated in hundreds of research papers, articles, books and meetings internationally. He has co-authored the textbook on EEG artifacting (2001) and is currently working on projects and publications related to his seminal paper on EEG endophenotypes (2005, Clinical Electroencephalography). He is a popular lecturer worldwide on the topic of QEEG and phenotype identification of neurological disorders. Jay will personally review, analyze, interpret your EEG/QEEG data and offer recommendations for individualized neurotherapy and/or other remediation program(s). 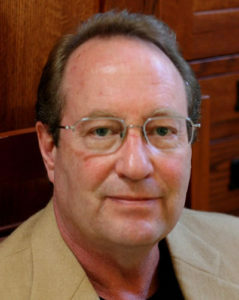 Dr. Vincent Clark is the founding Director of the Clinical Neuroscience Center at the University of New Mexico, and is an Editor for Neuro-Image, the most highly cited journal in the field of neuro-imaging. Dr. Clark’s passion is to understand the human brain and has spent the past three decades focusing on brain research. His recent area of research examines how tDCS can be used to increase learning and performance in healthy subjects, and the mechanisms by which tDCS produces changes in brain function and behaviour. Brain stimulation may lead to a variety of innovations in classroom education and professional training, along with new treatments for psychiatric and neurological disorders. Tap Dr. Clark’s decades of experience in brain research to custom design your very own tDCS treatment program based on your brain profile garnered from an EEG/QEEG neuro-assessment and other evaluation reports. You will also have the opportunity for one-on-one consultations* with Dr. Clark to discuss your specific concerns, treatment objectives and/or desired outcome. tDCS treatment will be administered by experienced clinicians at Brain Optimax. Meyer Proler, MD is a graduate of Baylor University, College of Medicine, and is certified by the American EEG Society Board of Qualifications, as well as the American Board of Electroencephalography with special competence in quantified EEG. He has been a clinical assistant professor in the Department of Neurology at Baylor University for over 14 years. He has had numerous scientific papers on neurology published. Dr. Proler is a member of the American Medical Association, American Academy of Clinical Neurophysiology and American Academy of Neurology among others. He is president of MedDataLink and Statlink which processes hundreds of EEGs for doctors and hospitals in the United Stated and other parts of the world each month. 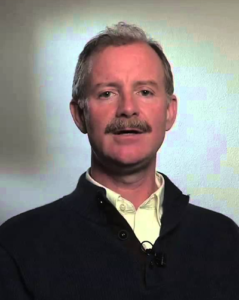 Jonathan Walker, M.D., M.S., B.C.N., QEEGD is a Board Certified Neurologist who has studied, researched and taught in the field of neuroscience for forty five years. He is intensely involved with the discovery and use of forward-thinking, cutting-edge approaches to help patients heal, rather than just to suppress their symptoms. He combines his traditional neurological medical practice with QEEG-guided neurotherapy (EEG-Biofeedfeedback) which is a successful non-drug treatment for a variety of medical conditions including ADD/ADHD, dyslexia, head injury, depression, epilepsy, behaviour disorders, anger control, and depression. Dr. Walker is President of the QEEG Certification Board and Board Certified in Electroencephalography and is a nationally recognised pioneer in the field of neurotherapy.